Despite not being Danish or growing up with this concept, an essence of warmth and cosiness is one of the things I enjoy most in life. It’s why I love the seasons and wrapping up warm on cold winter nights. It’s even why I chose to come back to London – for the warmth and togetherness of family and friends. So when Steve’s birthday came round this year and I scanned the map of Europe looking for somewhere to go, my eyes rested on Denmark. What better way to celebrate than an exploration of all things hygge? So off we went to Copenhagen for a three-night trip in the city. As always, our focus was on finding special places worth sharing, but this time we also wanted them to embody a sense of hygge. These were our favourite finds in Copenhagen. Most are situated around the hip Vesterbro district as that is where we stayed in Copenhagen. One thing to point out is that Copenhagen is one of the best places we’ve ever been to for vegetarian brunch. All the brunches tend to come with bread, eggs, cheese, yoghurt and fruit – but all also had their own special touch, for example avocado, re-fried beans or pancakes. We had a different one every day. A cafe that doubles as a laundromat. We’re suckers for anything quirky and this definitely fitted the bill. This chain of bakeries isn’t particualarly “hygge” in terms of their environment but they do have great Danish pastries perfect for sharing with loved ones. 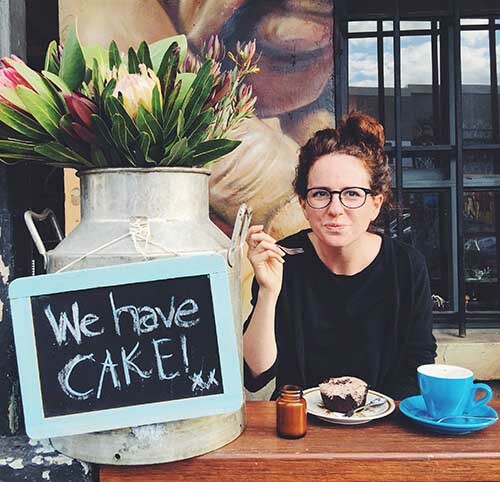 The downstairs of this cafe is particularly cosy with comfy chairs and candlelit tables. There’s also a little Moroccan-style area at the back with low tables. 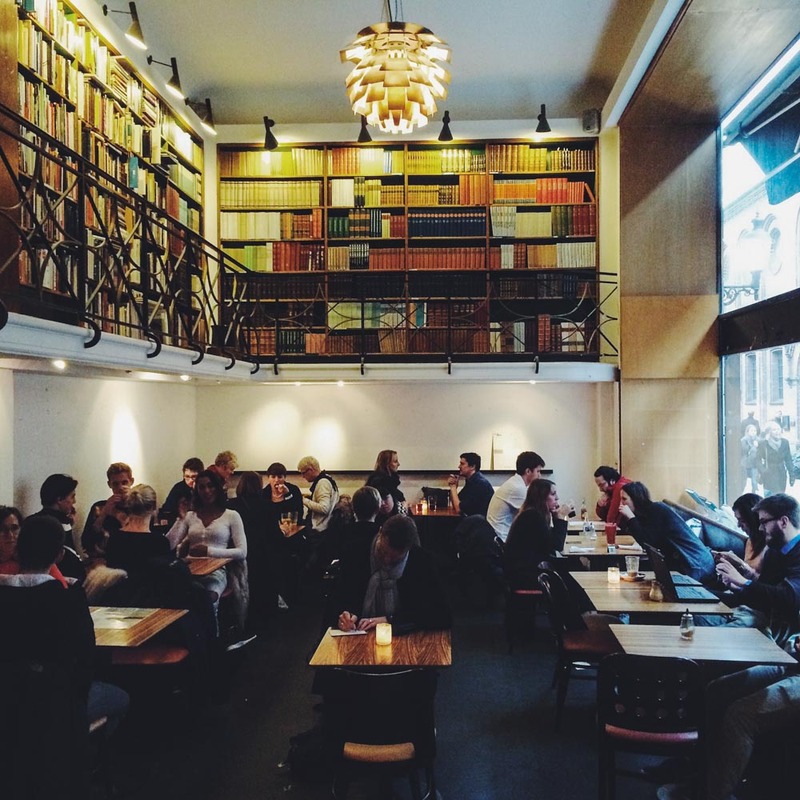 This sprawling book-filled cafe manages the tricky feat of being both spacious and cosy. The vegetarian brunch was excellent, including pancakes, eggs, fruits, cheese and more. 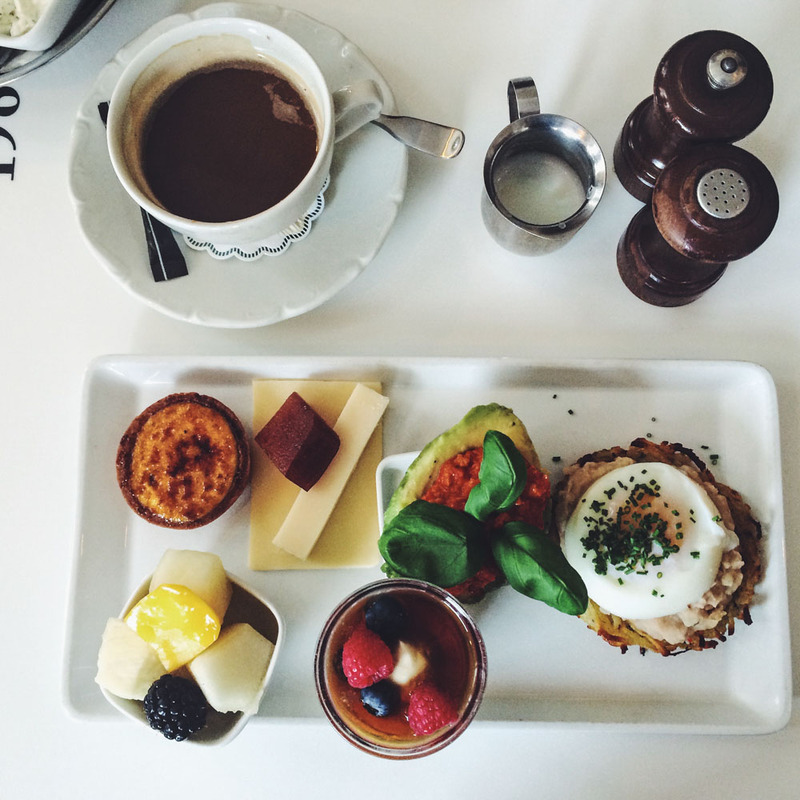 This was a definite contender for the best vegetarian brunch in Copenhagen. I especially loved that it came with avocado and refried beans. Delicious! A cute little neighbourhood cafe with a fantastic brunch (as per usual in Copenhagen). Stonebaked pizza in a candlelit, convivial atmosphere in the heart of Copenhagen’s meat packing district. We ate here on our first night and fell in love with the city instantly. Steve and I are unashamed die-hard fans of the hipster street food revolution and Copenhagen has one of the best set-ups we’ve seen. My favourite part was that you could book a table in the central greenhouse, order your drinks and then browse the stalls in time for your drink to arrive. It was the most civilised street food market I’ve ever been to. I expect it’s even better in the summer when you can eat outside next to the river. Another trendy pizza place in Vesterbro, Neighbourhood specialises in organic food and healthy(!) cocktails. We were really sad not to visit Relæ but it was closed while we were there. The vegetarian tasting menu looked amazing and we really hope to go back one day to try it. The Log Lady is a Twin Peaks themed cafe/bar. As massive fans of the show, we couldn’t miss it. 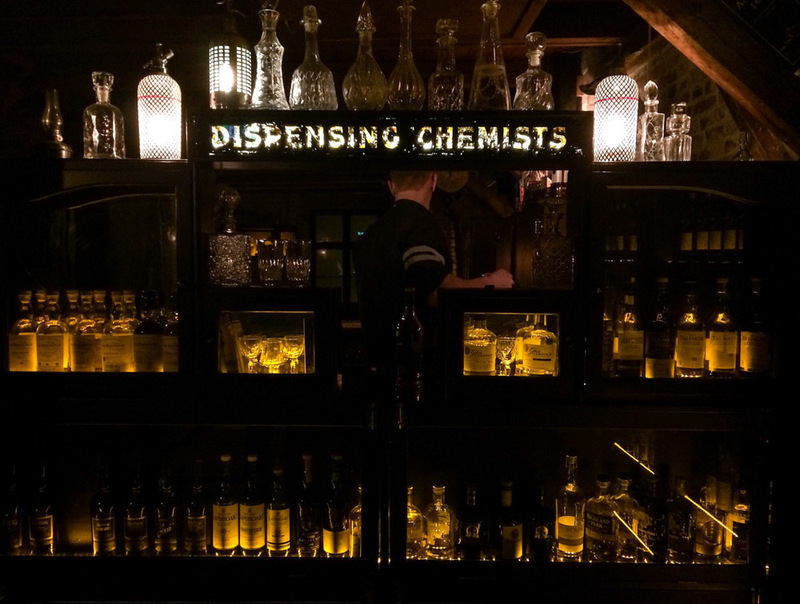 This old-school cocktail bar serves perfectly mixed drinks in opulent surroundings. It’s a treat but it’s worth it. A friendly wine bar in Vesterbro with an impressive list of wines. This was our favourite bar in Copenhagen. Spread over three floors, there is an inventive cocktail bar at the ground floor, and a cosy log-cabin style whisky bar at the top. The drinks are top notch and the atmosphere was spot on. I wish it was in London. We did a whistle stop tour of the major sights by taking a canal boat tour from Gammel Strand. This took us past the palaces, the Little Mermaid statue, Nyhavn, and gave us a general feel for waterside Copenhagen. I wouldn’t necessarily describe this as a hygge thing to do, but it’s a good introduction to the city. If hygge is at all about community and togetherness then Christiana has to be a good example. The freetown was created in the 1970s and still exists today (although there is a time limit for the inhabitants to raise the capital to buy it). 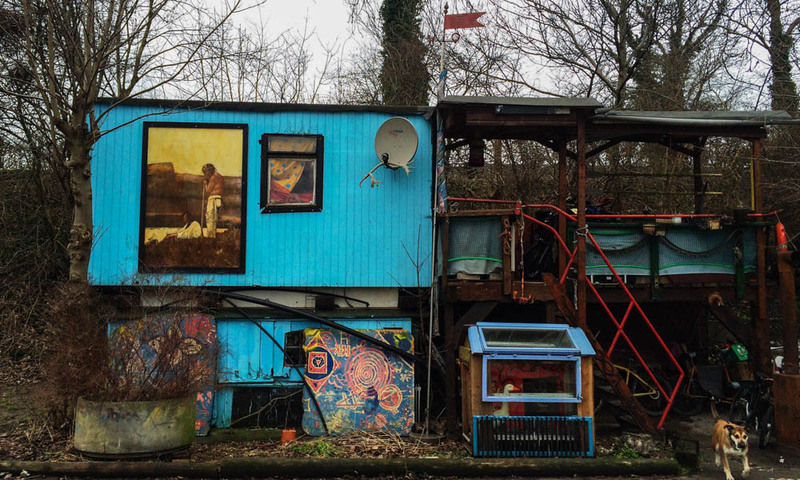 The area is centered around a lake and filled with all manner of creative houses and projects. Many people know it as “the place to go and buy weed” but if you walk around the area you find much more to it than that. We always seek out a city’s covered market and Copenhagen’s was beautiful. There were tons of food stalls, as well as people selling artisanal beauty products and other Danish specialities. 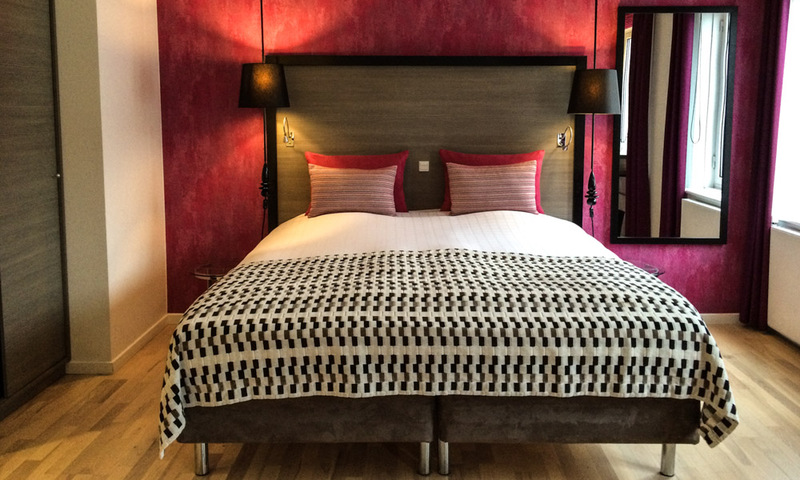 We stayed at the Anderson Boutique Hotel for one night and Annex Hostel for two nights. A detailed review can be found here. Have you been to Copenhagen? Feel free to add your tips in the comments. If you’re planning a trip, be sure to check out our travel planning pages. We also have full, detailed itineraries for How to relax in Goa and Kerala; The ultimate South Africa honeymoon guide; How to make the most of 10 days in Japan; One month in New Zealand, 48 Hours in Dublin, five days in Iceland, and more. See all our itinerary posts here. So if hygge doesn’t have an English translation, it may just have a very good German one: Gemütlichkeit, which, as I understand, means exactly the same thing. Looks like you guys had a lovely time scouting out all these little hidden gems. We may be visiting Copenhagen this summer, so I’ll definitely make sure to refer to some of these suggestions! I wish there were more laundromat cafes in Europe! Such a great idea. As a German living in Denmark, I would have to say that “hygge” and “Gemütlichkeit” have a slightly different ring to me – hygge is a bit broader – but you are right, they are very similar. This is a great list and some “off the beaten track” places as well! My favorite cocktail bar is called 1656, it’s in the Meatpacking District (not too far from Mother, actually). It has a bit of a speakeasy feel to it, and their velvet couches are definitely “hyggelig”! Hope you enjoyed your time in Copenhagen! 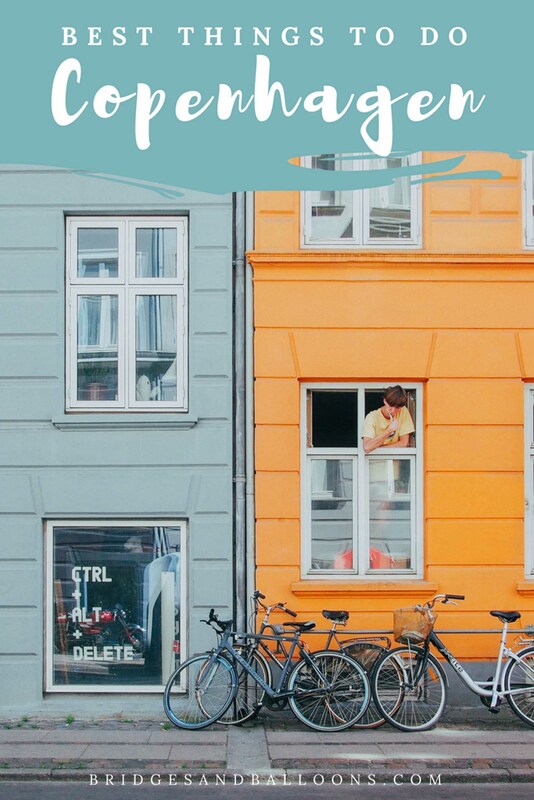 Copenhagen is one of my favourite European cities – it was such a warm and welcoming place! 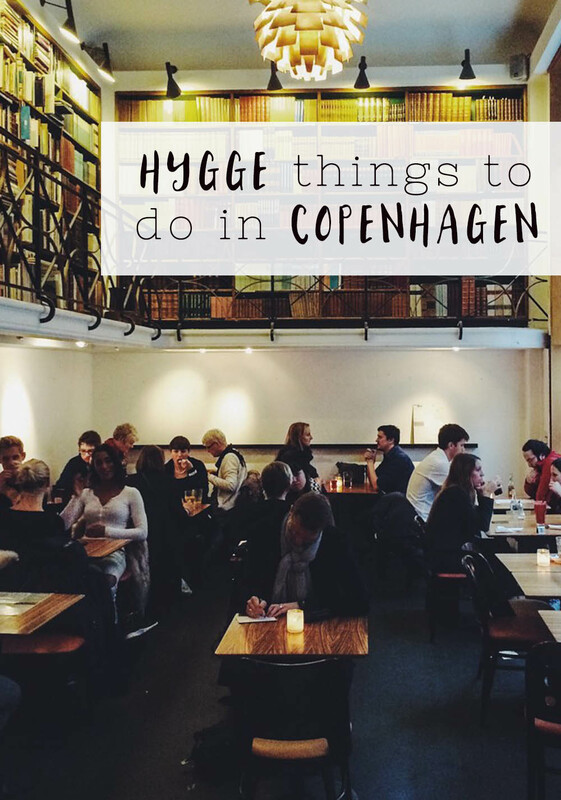 My friends and I still use the word “hygge” here in the UK, although there aren’t as many places in London that achieve the snugness of some of the cafes we visited in Copenhagen. 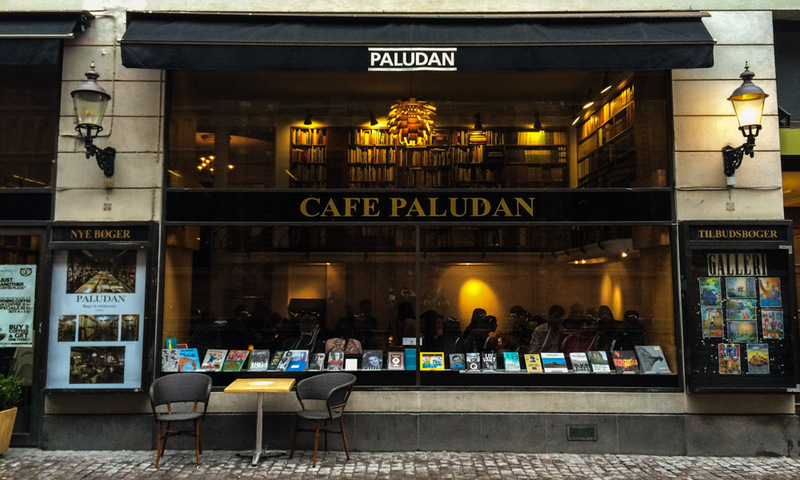 On our trip, we spent many afternoons in Paluden Bogcafe! Lovely place – we adored being surrounded by books! Even though it’s a chain, I can’t recommend the Christianshavn cake at Lagkagehuset enough. It’s so good. Thank you, thank you, thank you! I am so glad I took another glance at this post before my trip to Copenhagen. I am a hugs fan of Twin Peaks (I’m getting my TP themed tattoo in a month!) and had not seen the Log Lady Cafe anywhere else! I cannot wait to make it a highlight of the trip. Happy travels!